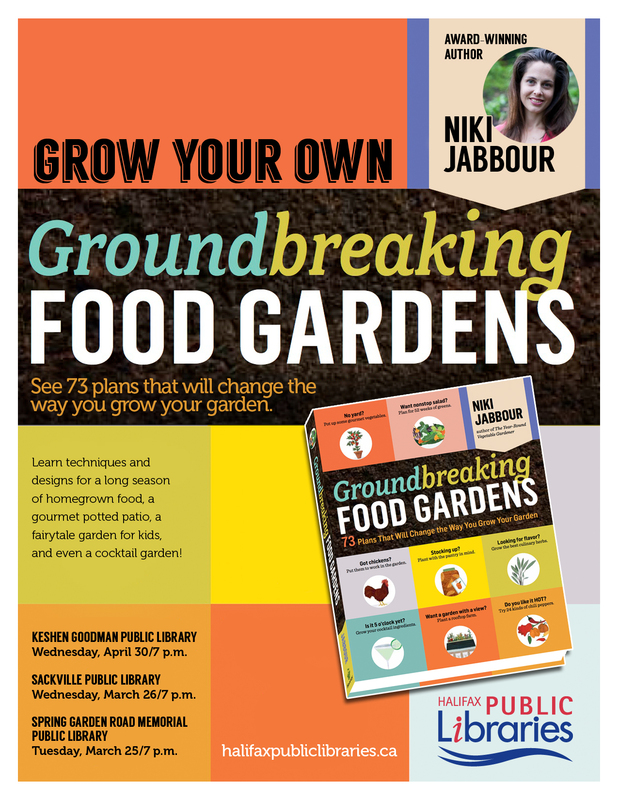 Gardening Fans: Author Niki Jabbour To Visit #Sackville Library! *New Date* | Sack-Vegas!!!! This looks like a good opportunity for you gardeners to have a chat with author/gardner extraordinaire Niki Jabbour. Check the date and time and head on down. Happy gardening! NEW DATE BECAUSE OF SNOW STORM: Wednesday April 9th at 7 pm – due to the impending snow storm. Posted by Sacky on March 20, 2014 in Community Events.